We aim to make arrangements that provide clients with reasonable certainty and that reward us for efficiency and results. In relation to high value and/or complex cases we have a preference for sharing risk with our clients. This means we need to understand our clients’ objectives. 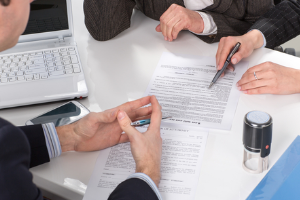 There are a number of methods of structuring a fee arrangement in order to achieve this. They include fixed and conditional fees, contingencies, discounted rates, caps and success fees. Often in structuring an arrangement we use a combination of these methods. We are prepared to consider taking on cases on a no-win-no fee basis (a type of conditional fee agreement) but usually only after a review for which we may charge a fixed fee. In relation to routine cases where the time that will need to be spent is predicable, eg lease renewals (up to a point) and squatters’ proceedings, we can offer fixed fees. For clients who need fairly regular support and advice there are advantages in a periodic retainer. For example an annual sum billed quarterly avoids the administration involved in the issue and payment of small bills. We are always very happy to discuss fee arrangements. The Government has confirmed its intention to implement most of the recommendations in Lord Justice Jackson’s Review of Civil Litigation Costs including a bar on the recoverability of success fees and insurance premiums paid for after the event insurance. It is unlikely that the implementation will be retrospective. In the circumstances it would be advisable for any litigant who is interested in a no-win-no-fee agreement (or any other agreement which includes a success fee) or after the event insurance to make his arrangement without delay.